I’m really excited to announce the launch of my newest website, BigBearDisposal.com. I’ve been working with my client on this project for many months now and we’ve finally gone live with it. When working with a client, I spend time learning about their business, their competitors and how to best represent their product or service through their website and digital marketing. Needless to say, I’ve learned a lot about trash and recycling this past year! 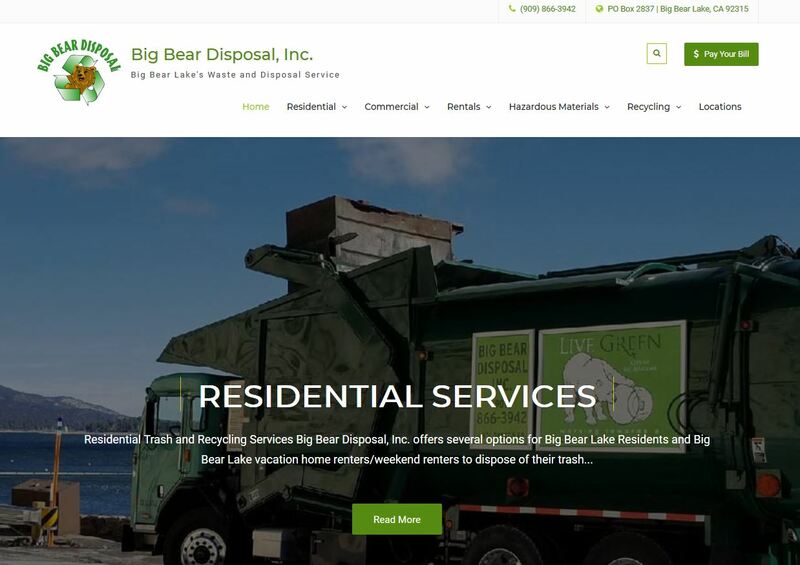 So for all of you Big Bear residents, the website outlines what goes where when it comes to trash and recycling services, plus information about dumpster rentals, portable restrooms and storage containers. Special thanks to Dan Raddatz at Bear Valley Printing for connecting me with Big Bear Disposal. Dan and I work on a lot of community projects together. They do some great stuff over there at Bear Valley Printing so check them out too. Have a fantastic weekend and be kind to one another. Previous: Previous post: Save Yourself!